What do you have on your bucket list of places to travel to in your lifetime? Join Travel and Entertainment Writer and former Anthropology/Sociology Instructor TR Robertson and his wife Carolyn for such a bucket list trip. TR and Carolyn have led tours to the Great Wall of China, the Terra Cota warriors, the Pyramids of Egypt, Angkor Wat and throughout southern Asia, the Nazca Lines and Machu Picchu and most of South America, all throughout Europe, the Baltic, Eastern Europe, Greece and the islands of the Mediterranean, Turkey, New Zealand, Australia, Japan, Easter Island and many more destinations. But there is one part of the world they have always wanted to include in their travels. The excursion includes staying in and sightseeing in Tel Aviv, Nazareth, Haifa, Acre, Jerusalem, Jericho, and Mount Zion while in Israel. Museums, legendary sites, markets, and archaeological excavations will be included. 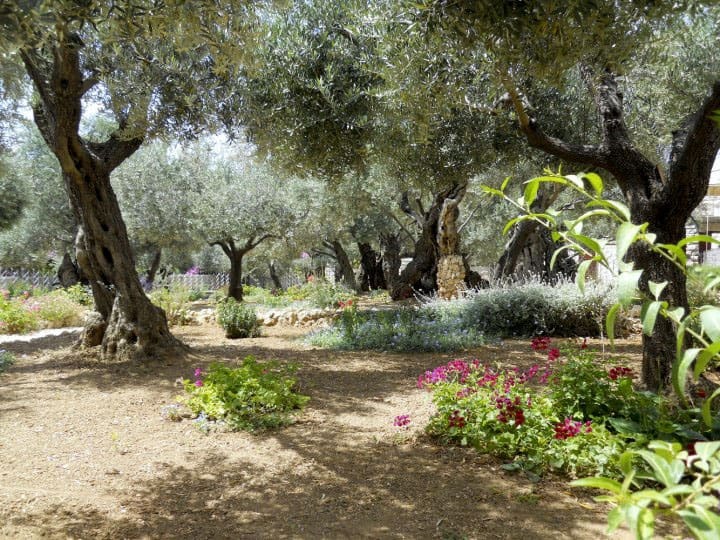 Some of the sites that will be visited include the UNESCO White City, the Sea of Galilee, the Mount of Olives, the Garden of Gethsemane, the Church of the Annunciation, Mount Carmel, the Hanging Baha i Gardens, the Church of the Holy Sepulcher, the Holocaust History Museum, the Western Wall and the Israel Museum – home of the Dead Sea Scrolls. 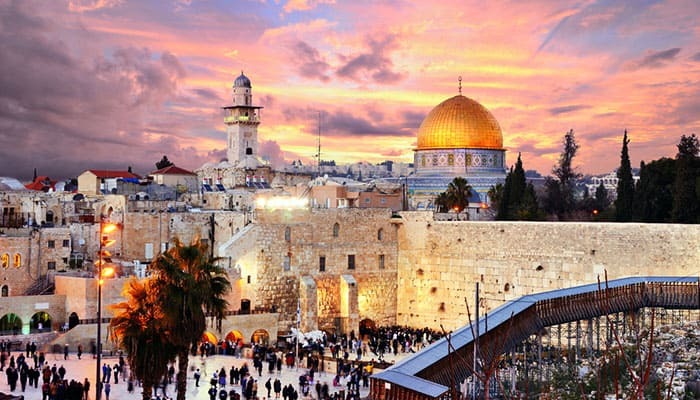 Optional tours to an Israeli wine estate and Bethlehem are offered as well as an optional trip to the ancient desert fortress of Masada located high on a desert plateau then an evening Bedouin dinner. From Israel the tour will then travel to Jordan to visit Jerash, one of the best preserved Roman ruins outside of Italy. From there the tour will continue to Petra and the amazing buildings carved into the valley cliffs. 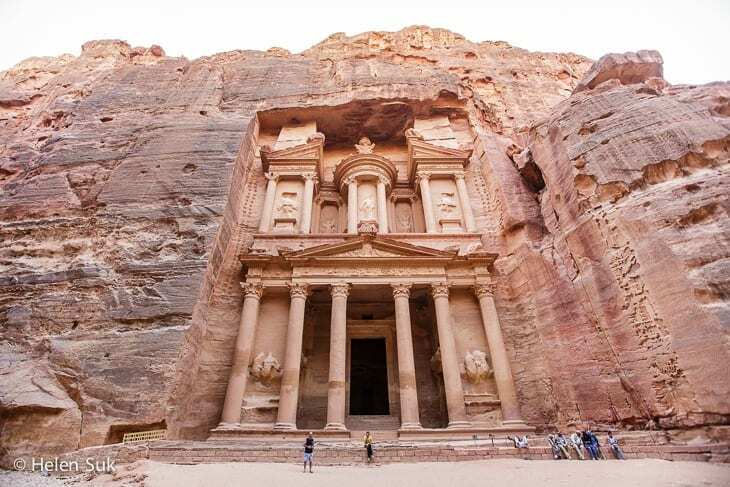 Petra was discovered in 1812 and made famous in the Indiana Jones movies. After Petra, a stop in Amman will include the Wadi Rum, also known as the Valley of the Moon. In Amman visits will be to St. George’s Church and Mount Nebo, Moses’ burial place and ancient old city ruins. For more detailed information for those interested in this exciting tour go to http://carolynrobertson.grouptoursite.com/ and tour number 62445096. Interested persons can also call 800-438-7672 – Go Ahead Tours – for more information. The tour will include hotels, 7 breakfasts, 4 dinners, 11 guided sightseeing tours, a tour director and local guides, all ground transportation on a private deluxe motor coach. Temperatures in Israel and Jordan in November range between 65-75 degrees. Cost for the tour is $2,738.00 and cost for air transportation is $1,600.00, but those on the tour can arrange their own transportation if they wish. There is a July promotion of $75.00 off the tour or an optional excursion. A deposit of $450 holds a reservation spot on the tour. The final payment is not due until August 25, 2018. For those that are concerned about safety travel to the mid-east, Go Ahead Tours only travels to countries on accepted travel destinations for the United States. Any additional questions can be directed to Carolyn at kodyrobertson@yahoo.com. Don’t miss out on this trip. Our recent trip to Japan was amazing. This trip will top that.